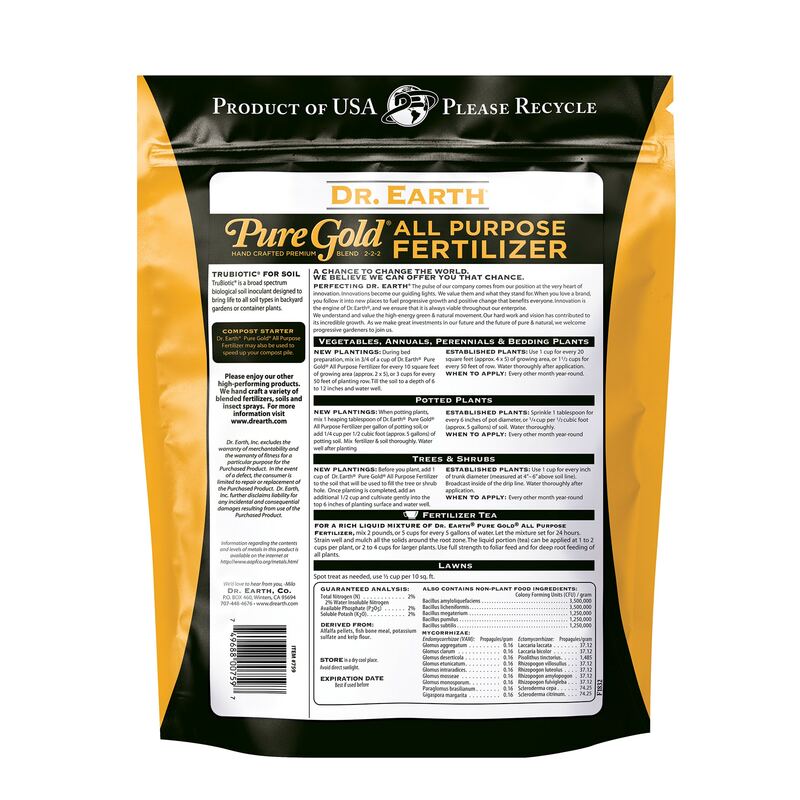 Pure Gold® is a true pelletized and homogenous organic all purpose fertilizer that produces remarkable results because nutrients are released quickly yet continue to feed for several months. Ultra-premium scientific formula provides optimum levels of primary essential plant nutrients, including micronutrients and multi-minerals. TruBiotic® ensures organic nutrients are thoroughly broken down then released in the soil for plant roots to absorb them as they are needed. Feeds for several months. Great for every plant in the garden. 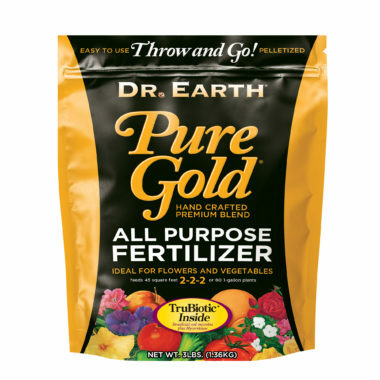 This is our easiest to use fertilizer and can be applied to the soil without having to be worked in. Very easy! Promotes vigorous and healthy plant growth. Builds strong root systems capable of greater nutrient absorbtion. Handcrafted from human and feed grade ingredients. Enriched with multi-minerals, proteins, carbohydrates, humic acids and trace elements to promote healthy plants.